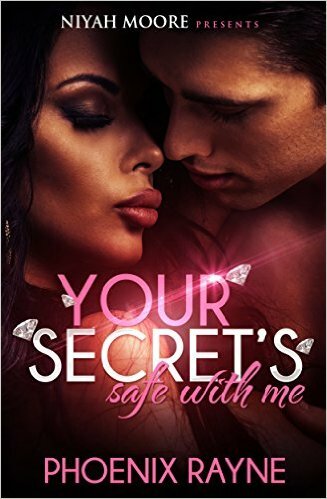 Cambria Price definitely has secrets she doesn’t want exposed. Growing up in orphanages and foster care, she struggles to have the things she wants and needs to be an ordinary girl. Growing up to be one of the best boosters in Little Rock, Cambria uses what she was taught to get whatever she needs whenever she needs it. She has a crew that she trusts and all of her lifts run smoothly like clockwork. Until one night, everything falls apart. Two in her crew takes the fall for Cambria and the others. She decides to leave the boosting world behind her to have a new start. Cambria, now, a hard working barmaid thinks her past is in the past until it catches up to her. She’s blackmailed into doing some of her old tricks. She has no choice but to do what she’s told or else. In the process, she has to get one of the best attorneys in the city to fall for her. While losing control of her own life, Cambria finds herself falling for her mark and he for her. In this erotically stimulating romance, Dorian becomes addicted to her. Just the thought of her brings Dorian to his knees. Cambria’s body yearns for Dorian as well as she has never had every desire and want filled and satisfied by such a man. Dorian wakes up the sexual beast inside of her. Dorian has ruined her. She’s never wanted a man the way she longs for him.